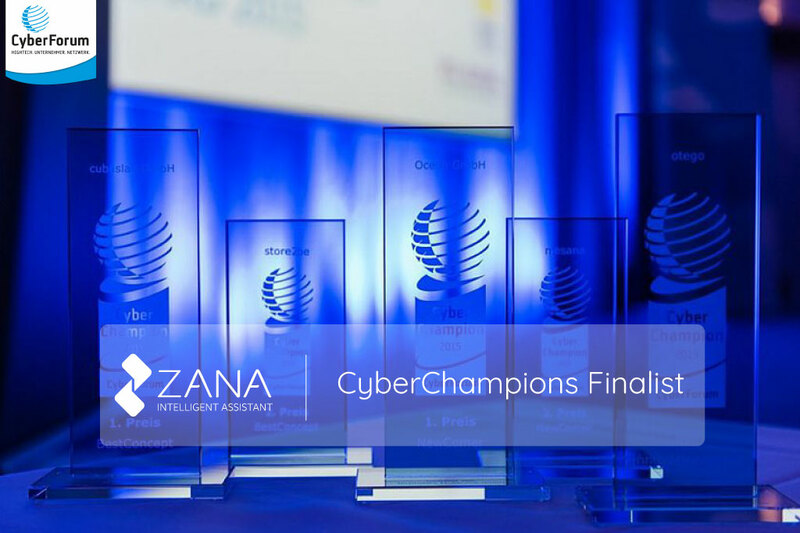 We are happy to announce that Zana has been selected as one of the finalists for the Best Startup challenge in the CyberChampions Awards. Karlsruhe, Germany, August 29th, 2018 - We are happy to announce that Zana has been selected as one of the finalists for the Best Startup challenge in the CyberChampions Awards. Zana was competing against 5 other startups. The CyberChampions Awards is an annual hightech entrepreneur competition for prospective founders and businesses, with an industry focus on IT and high-tech. A pitch competition was held at the CyberForum in Karlsruhe on the 27th of July. Martina Hysi, part of our Business Development team was pitching on behalf of Zana, in front of a jury of 10 comprised of investors, venture capitalists, business and technology experts and other distinguished members. The results of the competition shall be announced on the 9th of September during an evening event hosted at the CyberForum in Karlsruhe. The recipient of first prize shall receive a monetary cash prize, support in development from experts at the CyberForum in terms of technology and business, increased visibility as well as the possibility to expand our network. We are looking forward to the results and we wish all other competing teams good luck!